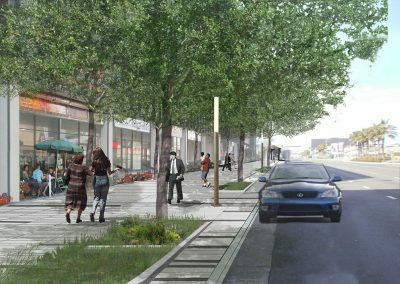 Gruen Associates is preparing a streetscape plan for Century Boulevard and intersecting arterials working with Los Angeles World Airports (LAWA) and the Department of City Planning. 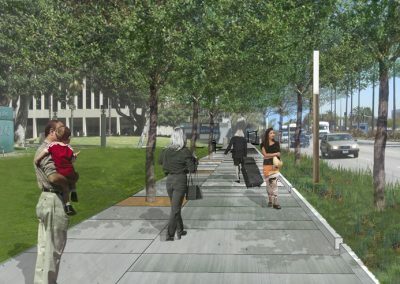 The plan will establish a new standard for future streetscape improvements to strengthen the quality and attractiveness of the boulevard’s pedestrian environment and improve connectivity to Metro’s Aviation/Century transit station, local hotels, office buildings, restaurants, retail shops, rental car services, off-airport parking, airport facilities, amenities and other commercial services on or near the corridor. 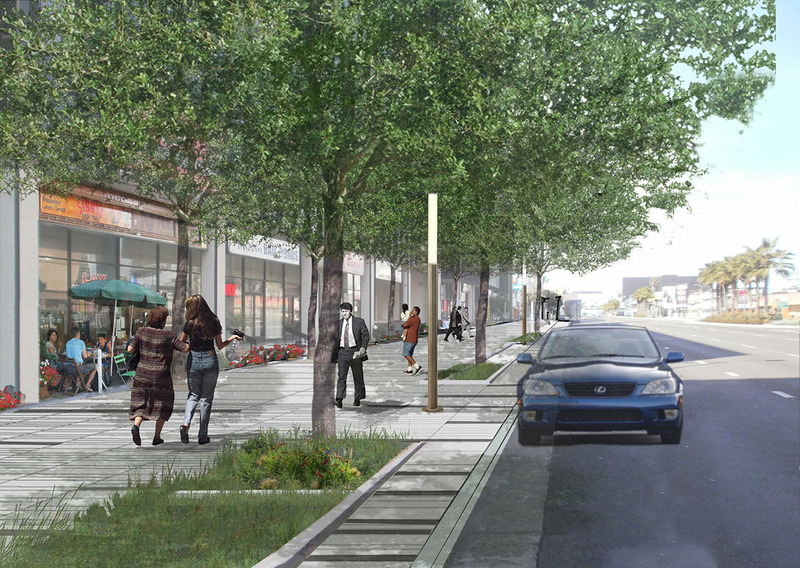 Additional goals for the “Green Streets” plan are to promote physical improvements and enhancements in the public right-of-way and easements on adjoining properties that reinforce the unique identity of Century Boulevard as the “Gateway to Los Angeles.” Gruen’s planning efforts today will help create a lively and active urban environment where existing businesses and future commerce can thrive.